6 row bling bling bracelet crafted from 316L stainless steel so it will never tarnish or fade! 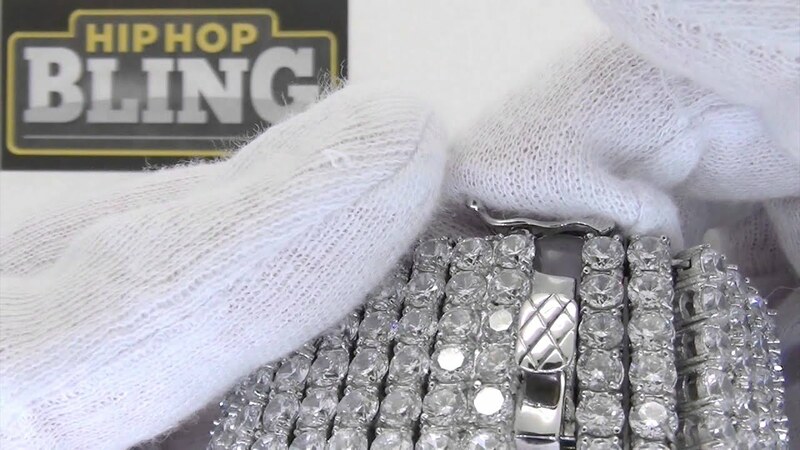 The best grade simulated diamonds are hand set with prongs 6 rows wide all the way around the entire iced out bracelet. We are talking crazy bling, must be seen in person. Features a triple lock study clasp to keep your bling bling bracelet on your wrist. Best hip hop jewelry out there.